Google will be forced to change the way its search results are presented in Europe or face antitrust charges for "diverting traffic" to its own services, The Financial Times reported the European Union's antitrust chief as saying. The EU's competition commissioner, Joaquin Almunia, told the newspaper in an interview published on Friday that he intends to prevent Google from allegedly distorting choices for consumers and taking business from rivals. "We are still investigating, but my conviction is are diverting traffic," the newspaper quoted him as saying, referring to Google's preferential treatment of its own vertical search services. "They are monetising this kind of business, the strong position they have in the general search market and this is not only a dominant position, I think - I fear - there is an abuse of this dominant position," he said. The EU issued Google an ultimatum on December 18, giving it a month to come up with detailed proposals to resolved a two-year investigation into complaints that it used its power to block rivals such as Microsoft. Google has been the center of a two-year investigation by the EU based on complaints that Google unfairly favoured its services over its rivals in search results and that it may have copied material from travel and restaurant websites without permission. Almunia told the newspaper that his concern was "the way they present their own services" and that he was "not discussing the algorithm," the top-secret formula behind Google's search engine. The FT said this suggested one facet of the solution would be labeling when Google's in-house services - such as shopping comparison information - are artificially given higher billing than rivals, although other changes would likely apply to how Google services are displayed within general search engines. He also said that while Google showed a more constructive approach at a meeting in December, he warned that he would be "obliged" to issue formal charges if its proposal was unsatisfactory. 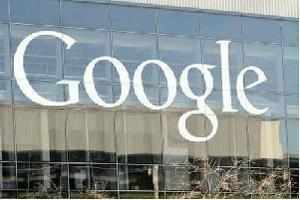 Google spokesman Al Verney said: "We continue to work cooperatively with the commission."